Home > Blog > History Blog > All Aboard the Empire Builder! 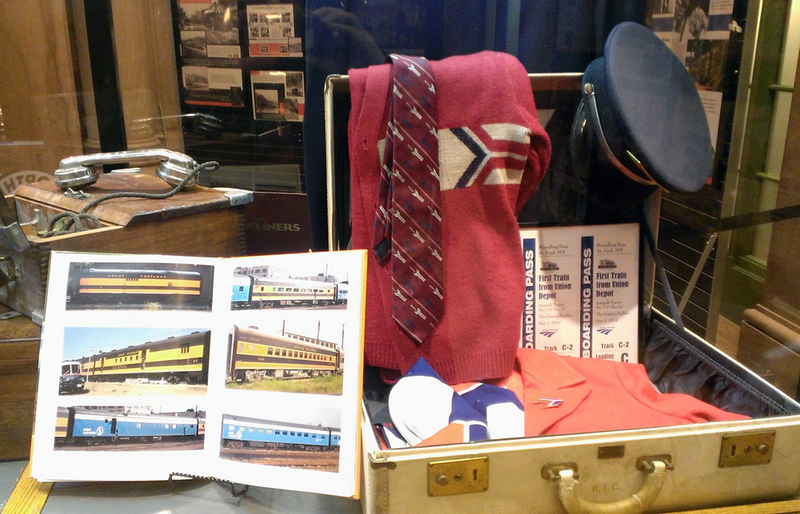 An exhibit on display at St. Paul Union Depot traces the history of the famed Empire Builder. Image courtesy of the Ramsey County Regional Railroad Authority. In late 2015, the Ramsey County Regional Railroad Authority, which owns and operates Union Depot in St. Paul, Minn., asked the Amtrak Archives to participate in an exhibit focused on the history of the Empire Builder (Chicago-Seattle/Portland). This collaborative effort, which also included the Minnesota Transportation Museum and Great Northern Railway Historical Society (GNRHS), traces the history of this famous train from its inauguration in 1929 to the present day. Vintage Amtrak uniforms from the 1970s and 1980s. The Empire Builder operated between Chicago and St. Paul over the Chicago, Burlington, and Quincy Railroad and then westward to Seattle over the tracks of the Great Northern Railway (GN), with a Portland, Ore., section utilizing the Spokane, Portland & Seattle Railway west of Spokane, Wash.
On the morning of June 11, 1929, the train was christened the Empire Builder in St. Paul before a west-bound departure from Union Depot. The premier service was named for James J. Hill, the founder of what became the Great Northern Railway. Numerous photos from the GNRHS archive, primarily in black and white, highlight life aboard the Empire Builder for both passengers and crew members. One image that stands out shows the Ranch car, whose western theme - meant to resemble a rustic ranch house - included a cattle brand registered with the state of Montana. The car’s look was enhanced with wood wall paneling, chairs covered in pinto leather and a colorful mural. Great Northern and Amtrak china used on the Empire Builder. In 1955, the GN added three short dome cars to the train, as well as an additional full-length dome lounge car. The popular dome offered spectacular all-around views of the majestic scenery found along the train’s route – including Glacier National Park. Today, Amtrak offers the same great vistas from its Sightseer Lounge cars with their wrap-around windows. The GN merged with the Northern Pacific; Spokane, Portland & Seattle; and Chicago, Burlington & Quincy railroads in 1970 to form the Burlington Northern, which continued to operate the Empire Builder until May 1, 1971, when newly-formed Amtrak took over operation of most of the nation’s intercity passenger rail services. Amtrak made some initial changes to the train’s routing, including shifting it northward between Chicago and La Crosse, Wis., to serve Milwaukee, and ending the Portland, Ore., section (which was restored in 1981). In October 1979, the Empire Builder became the first national network train to be assigned new bi-level Superliner equipment manufactured by Pullman Standard. 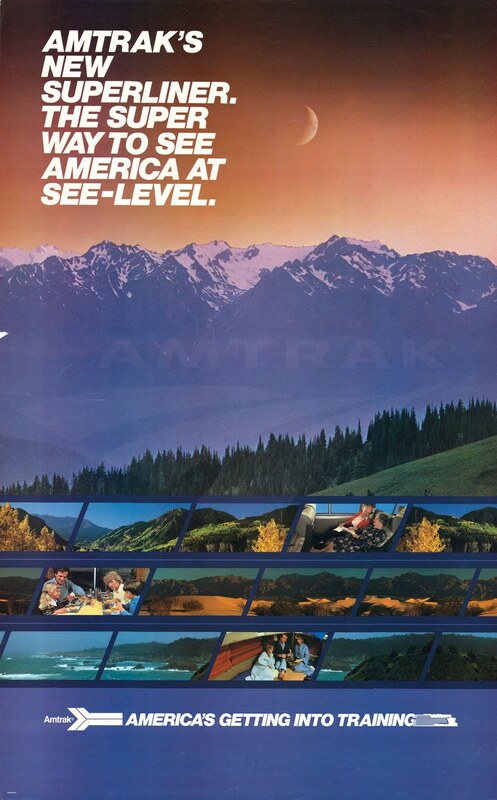 In the next decade, Amtrak marketed the train not only for its access to stunning Western landscapes, but as a great way to reach popular winter resorts in Montana, Idaho and Washington. A refurbished baggage cart that has been converted into a display case includes a variety of objects that tell the story of the Empire Builder. 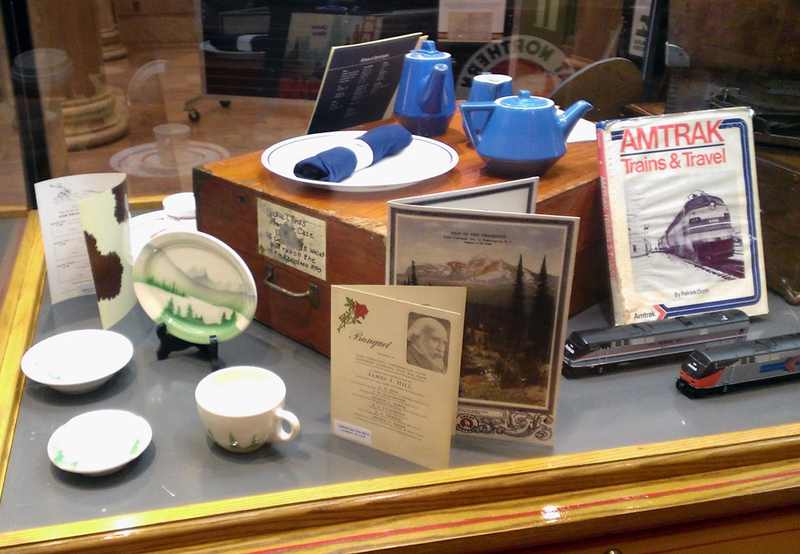 Visitors can see china used on the trains, including the GN’s “Glory of the West” pattern with mountain and forest imagery and rich blue serving pieces from the early Amtrak “National” pattern. There is also a GN conductor’s uniform and pieces worn by Amtrak station and on-board service employees in the 1970s and 1980s. Amtrak has been proud to carry on the tradition of gracious and convenient transcontinental rail travel embodied by the Empire Builder. Traveling daily between Chicago and the Pacific Northwest, the Empire Builder connects more than 40 communities in eight states. It provides magnificent views of the Mississippi River, the North Dakota plains and Montana’s Big Sky country and offers coach and sleeping accommodations, as well as dining services. The Empire Builder travels through the mountains. Travelers can learn about the cultural heritage and natural resources along the route through the Trails & Rails program, a partnership between Amtrak and the National Park Service (which celebrates its centennial in 2016). From April through September, volunteers from the Mississippi National River and Recreation Area (St. Paul- Wisconsin Dells, Wis.), Knife River Indian Villages National Historic Site (Minot, N.D. – Havre, Mont.) and Klondike Gold Rush National Historical Park (Seattle-Havre, Mont.) board the train on designated segments to speak with passengers and answer questions. 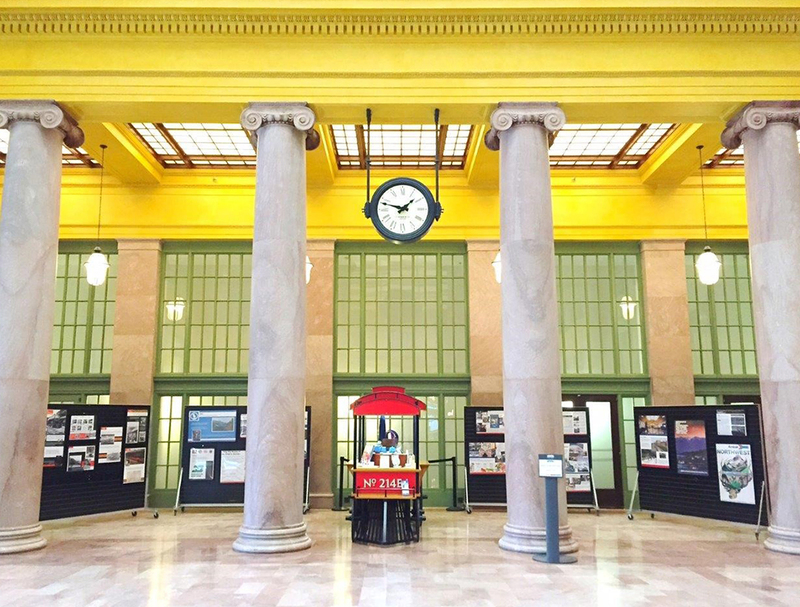 The Empire Builder exhibit is on view through Union Depot Train Days on the weekend of April 30 - May 1. Train Days attendees are invited to enjoy a fun and educational experience highlighting the history and future of passenger train travel, the historic and current role of freight railroads in the Twin Cities region, and changing transportation trends and needs. The weekend will include train equipment, musical entertainment, special events and activities for all ages! 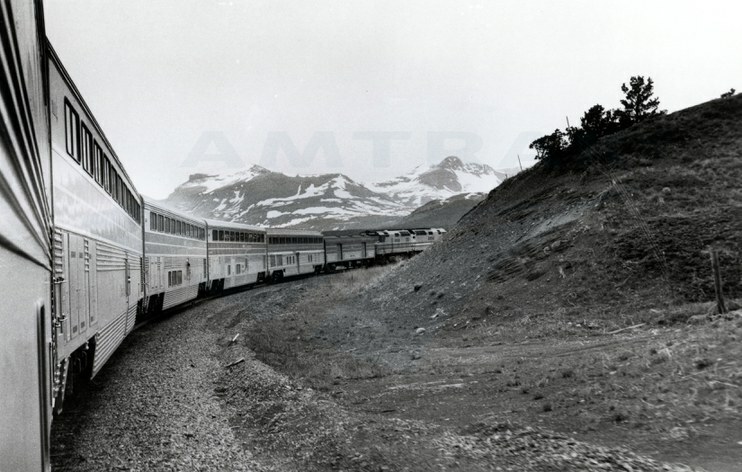 Do you have any favorite Empire Builder memories? Share them with us in the comments section below.